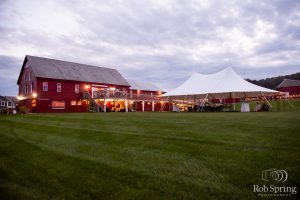 Our talented partner, Rob Spring, had the honor to photograph a beautiful wedding at the Lakota Farm Wedding Barn, as seen in Vow Magazine. 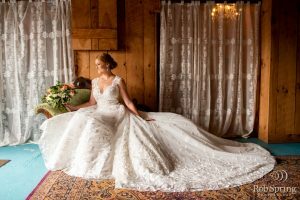 Katy and Peter tied the knot on September 30, 2018, and they haven’t looked back since. 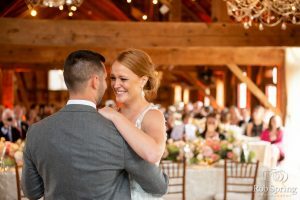 Here’s what they had to say about their gorgeous day! 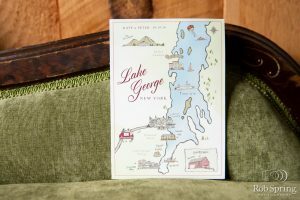 Katy and Peter knew their wedding was going to be the most special day of their lives, so they set the tone by sending out handcrafted personalized invitations by Jenny C Designs. 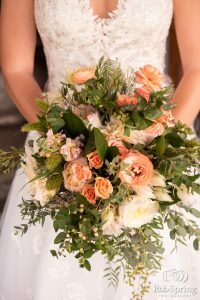 Unique and personal; sounds exactly like what Katy & Peter had envisioned for their wedding day. 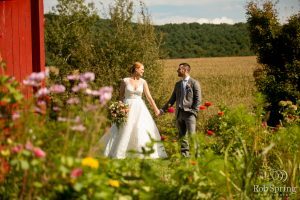 The morning of their big day Katy and Peter suited up to say I do! 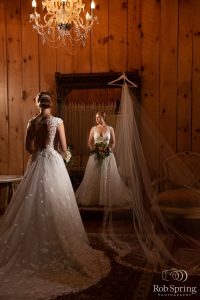 Katy looked like a princess in her embellished ballgown. 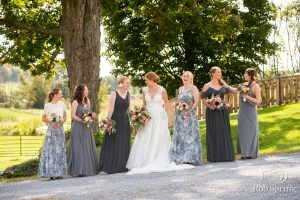 To fit her unique style, she dressed her bridesmaids in a variety of prints and styles in different gray colors. 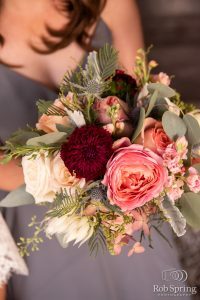 They all absolutely killed it, we cannot get enough of this trend! 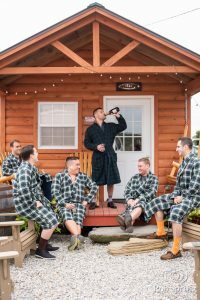 While the ladies were dressing to impress, the guys were taking a more casual approach to the pre-wedding prep…..don’t worry they were still ready on time! 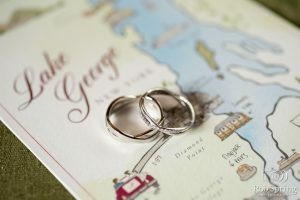 Time to say “I do”! 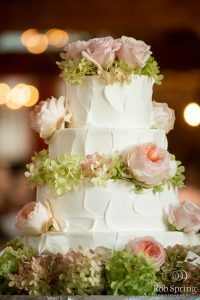 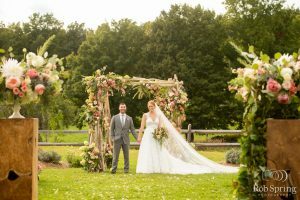 For the ceremony and reception space, Katy and Peter “were envisioning a fairytale reception space, and Renaissance Floral Design went far above [their] wildest dreams to create that vision”! 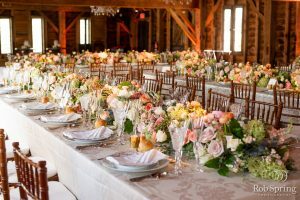 The floral team created “a starry night lighting in the wooden rafters and gorgeous floral arrangements throughout the space”. 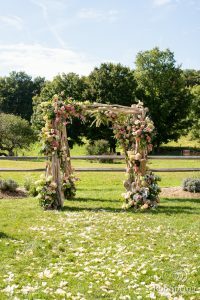 Katy and Peter had the pleasure of saying I do underneath a stunning floral arch.